Oh, Kodiak is mild and soggy. I have long dreamed of returning to the old country, but the paperwork involved is enough to dissuade me. Hiroshima_Morphine wrote: Oh, Kodiak is mild and soggy. Getting ready for lambs any day now. I swear the one ewe is going to be octo-mom! 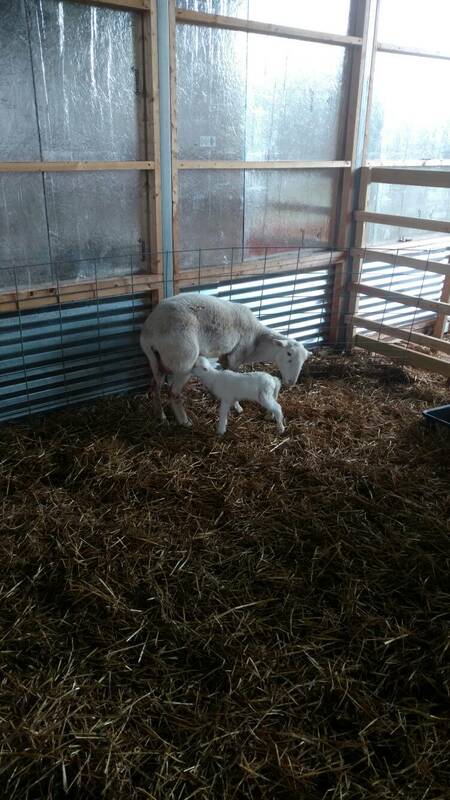 First lamb of the season! A very lively little ewe. This will be a single baby...The other ewes have a history of dripping twins and triplets. Very nice! We are now lambing away too. I've been distracted by the house renovation/extension that's currently going on also. They look adorable! Are their mommas friendly? The one pictured above is very skittish and it's taking us a bit to care for her. Awh cut her leg right above the hoof about 2 weeks before lambing. We basically had to corner her, roll her on her back and hold her to apply woundcote and some antibiotics. delarey wrote: They look adorable! Are their mommas friendly? The one pictured above is very skittish and it's taking us a bit to care for her. Awh cut her leg right above the hoof about 2 weeks before lambing. We basically had to corner her, roll her on her back and hold her to apply woundcote and some antibiotics. 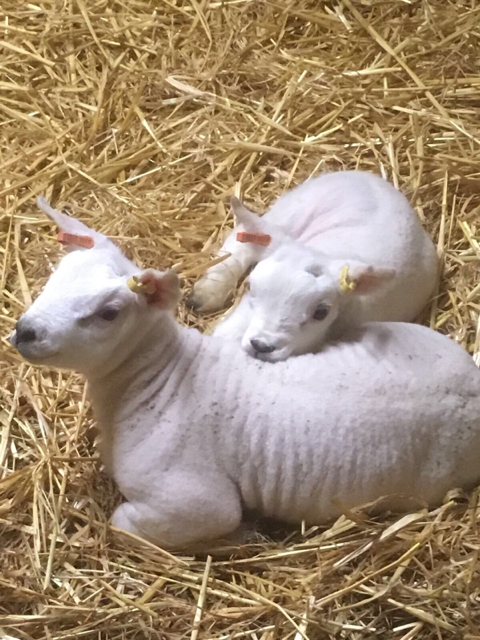 Texels are generally placid and easily worked with, the ewe who had these twin lambs is very quiet. The most they will do is stamp a front hoof in warning if you approach their lambs. It's a black coyote...Not many of them around, but this one is a bit of a bruiser. Probably pushing around 60lbs or so. We've been working on securing the sheep in the barn at night until I can get him. delarey wrote: It's a black coyote...Not many of them around, but this one is a bit of a bruiser. Probably pushing around 60lbs or so. We've been working on securing the sheep in the barn at night until I can get him. We do not have any native predator species like that, there's an abundance of foxes but that's all. Do the foxes bother your stock at all? It sounds like the perfect place to raise sheep! Now- there are multiple sightings and evidence of all black, large cats that are mutations of their species. 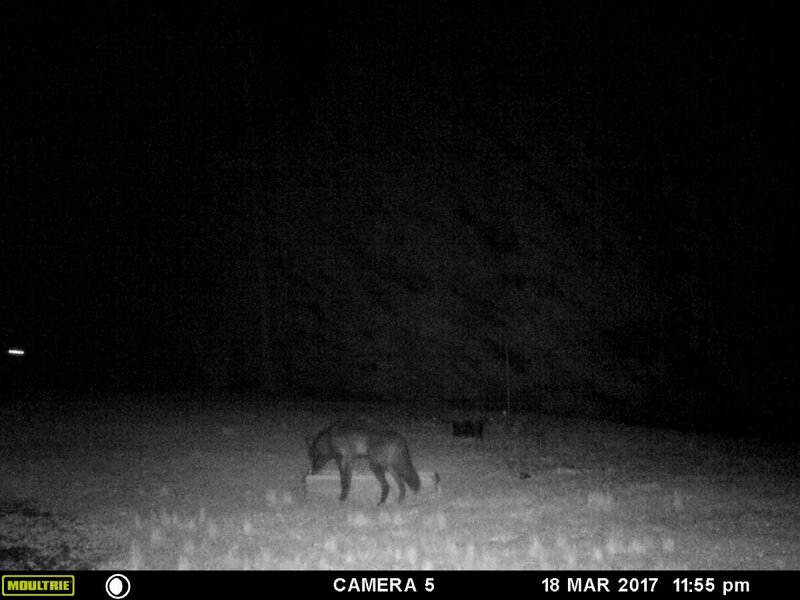 So what your friend caught on his trail cam was a black bobcat. Not sure of your AO- but if you are in the Pac NW it could have also been a Cougar/Mt. Lion. Unless we are talking about the Florida Panther- which like the Cougar/Mt. Lion is a subspecies of Jaguar and usually also are not black. Again, I don't know what your AO is. As far as I know we've never had problems with foxes. Rooks, Hooded Crows & Magpies have been a much bigger pest. Locals call them Panthers, but I've been around enough big cats to have figured out that it's probably a Florida cougar. wee drop o' bush wrote: As far as I know we've never had problems with foxes. Rooks, Hooded Crows & Magpies have been a much bigger pest. Ahhh OK. Do y'all get a lot of push back about controlling pests? Not really, nobody minds much about shooting crows. Fox hunting and other blood sports are banned though. wee drop o' bush wrote: Not really, nobody minds much about shooting crows. Fox hunting and other blood sports are banned though. In the UK, hunting with a pack of dogs is banned (I believe you can use no more than two) and crows are vermin which can be shot in unlimited number in any season by anyone with the landowners permission. We have had more triplets than is usual too, which is a headache, as it necessitates getting a foster ewe. Silly girls. First time momma, great momma.